I took my first trip to the emergency room the other day with the King. It wasn’t serious – well at the time it sure felt like it – but it was enough to send me running like a crazy person down one of the busiest streets in London with the King in tow as I tried to get to the hospital. Calmness in crisis apparently is not my strong suit. Like most toddlers he started to run a high fever and suddenly went listless like a rag doll. Apparently this can happen when they run high fevers, but between you and I, no matter who tells you this gem of wisdom, seeing your child turn into a motionless mute is enough to send you..well, screaming down a busy street in a blind panic in search of your nearest hospital. Parenting is not always rational. So there I was, a first time mother (with 16 months experience under her belt of course. I’m no novice damn it! :-) rushing into the A&E (as we call it over here) and hollering to anyone that would listen that my child was listless and hotter than a Texan summer day – [I like to reference Texas these days as much as possible]. The woman behind the counter, clearly having seen many a panicked mother in her time, moved at the pace of molasses and kept asking me, ‘so your child is restless.’ NO, I’d say, listless. ‘Restless?’ Listless!...Yes, it was like some bad comedy sketch. I finally used the magic word, which apparently is ‘unresponsive’ and started to cry and this of course got her full attention. Hey man, whatever it takes as far as I’m concerned. In about two minutes we were whisked back to the children’s area. The King, who I was holding in my arms, groggily looked around him, looked at me, and then proceeded to projectile vomit all over the floor, himself, and of course me. 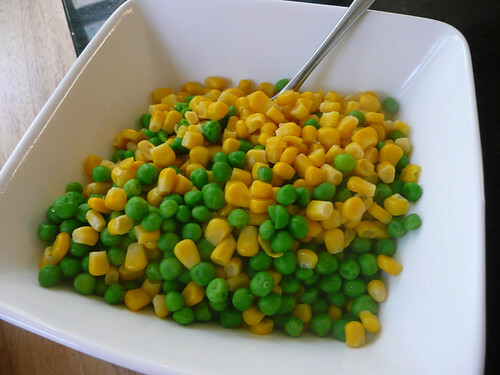 Imagine an air rifle shooting peas, corn and liquid all over the place. I just stood there until he was finished, which felt like ages, and then looked at the nurses - who were actually speechless - and said, ‘my son doesn’t feel well.’ After they jokingly commended me on his healthy diet (which was all over the room at this point), they whisked us into a private room and proceeded to go to work on the King. At this point, he was very hot, moaning and glaring at me with that look that said why on earth did you bring me to this awful place, Mother! Needless to say, we were there for about four hours. Four hours of poking, prodding, and peeing in little plastic cups (I have to say getting a male toddler to do it is shockingly easy in comparison to getting the aim right for yourself) to discover of course that he had a very high fever and a stomach bug. I know, shock horror. After medicating him to the hilt, within fifteen minutes of it hitting his bloodstream, the King was wandering around the room in clean dry clothes and was back to his babbling, laughing self as he watched his favorite program on TV. I meanwhile was covered in dried vomit with peas and corn stuck in my hair and had collapsed in the King’s hospital bed, whilst I ate some fruit bar my partner had bought for me. The phrase ‘by whatever means necessary’ seemed apropos for that very moment. When I shared this little anecdote with my friends and sisters, who all have children of their own, from each and every one of them I got a smile. A smile of remembrance of their own first trip to the ER, and a smile to let me know that with children, this was my first of many trips to the ER ahead of me. I better stock up on fruit bars and clean clothes I can tell you that much.